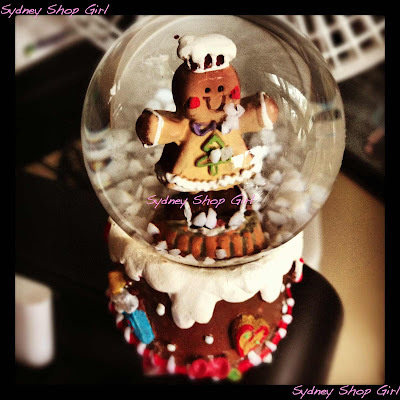 Sydney Shop Girl: Lovin' Life 21/12/2017: Joy In My World. Lovin' Life 21/12/2017: Joy In My World. We're getting just a little bit excited here at SSG Manor 2.0. Boxes on lists are being ticked off at a cracking pace as we get to the pointy end of the countdown to Christmas. My mum and dad fly in tonight to stay with us and provisions have been bought. Sorry dad, couldn't get that 'proper' brand of Hokkien noodles you like. Our traditional massive Chinese restaurant pre-Christmas dinner has been booked, the Peking Duck pre-ordered and the waist-friendly outfit selected. This Camilla kaftan has served me well through that one time I went through the third and fourth trimesters 5 years ago and it's making a comeback this year in as good as new condition. Might be a sign that I need to peruse DJ's collection of Camilla during the post-Christmas sales. Strictly online only... I'm not that crazy. Guess what this is? It's a pineapple upside down cheesecake and Delish reckon that it's a dupe for The Cheesecake Factory's offering. You will need all of the above plus some salt and a half dozen eggs. In true Delish style, there are many shortcuts in this recipe from using a packet cake mix to melting the butter for the upside down pineapple layer in the tin in the oven. Drying tinned pineapple rings on kitchen towel. Is there anything more retro-fabulous? You can never stud an upside down cake with too many glace cherries. I ate the rest of what I had for a very sugary breakfast. My tip is to follow the advice of comments on Delish's webpage and to bake the cheesecake in a water bath. Just be sure to wrap the bottom of the tin in several layers of alfoil. Amazingly, the pre-baked cake layer didn't get soggy or burned from being baked again with the cheesecake filling. I'm pleasantly surprised that my cheesecake turned out as fluffy as it did and with minimal cracking on top. I was a bit hasty in removing it from the springform tin though so there's a bit of dodgy business around the edge as you can see. Nothing a bit of tinsel can't hide / fix. Thanks for the idea, @robbjody. And here's what my cheesecake looked like when it got assembled. I'll feedback about how it tasted in a future post. As busy as this time of the year gets, there's always time for an indulgent session at the hairdresser. 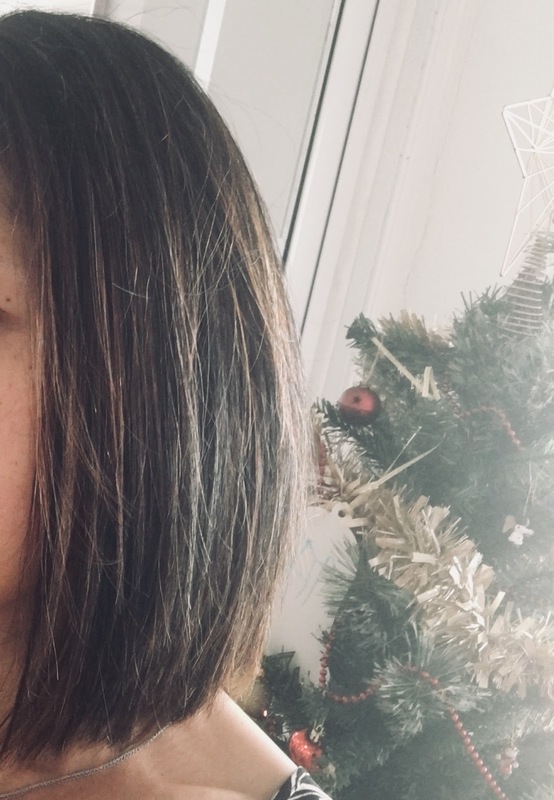 My hairdresser finally convinced me to give balayage a go. I'm loving it sick. I wasn't sure the colour would show up on my Chinese hair but it does and I'm feeling as Bergdorf Blonde as a fortysomething Chinese mum can reasonably feel. Just a bit nervous about how long I'll be able to keep the colour looking as fabulous as it does today. I love my swimming in chlorinated pools and I love my haircare from Priceline and Woolies. Before I go, I'd like to wish everyone whose been Lovin' Life and reading along here in general, a Very Merry Christmas and A Happy New Year. May you be extra kind to yourselves over the next few weeks. Do and eat what gives you joy, take deep breaths, surround yourself with love. Send those texts, make those calls. Be well and see you when I see you. That cheesecake 😍. Have a great time with your family. I have not had pineapple upside cake for years!!!! Can I come over? And that Camilla dress looks very much on point for Christmas. Thanks for your light this year. It's been a pleasure connecting with you - and, as an aside, your hair looks great. I'm loving your hair as well - it looks great! Merry Christmas SSG, Enjoy your break from work and the time you get to spend with your boy & parents. Cheesecake looks fab. Your hair looks good - all I know is to use sulfate free shampoos to protect colour & keratin treatments & supermarkets sell these shampoos & conditioners too. They are the OGX brand. That cheesecake looks delicious! And your hair looks great. Have a wonderful Christmas, and thanks again for your sweet message, made my day! These Last Few Days Before Christmas. Life This Week 18/12/2017: Christmas Plans. Lovin' Life 14/12/2017: Summer Living. Preschoolies. The Festival of Five. Lovin' Life 7/12/2017: Preschool Graduation. Life This Week 4/12/2017: My View From Here.